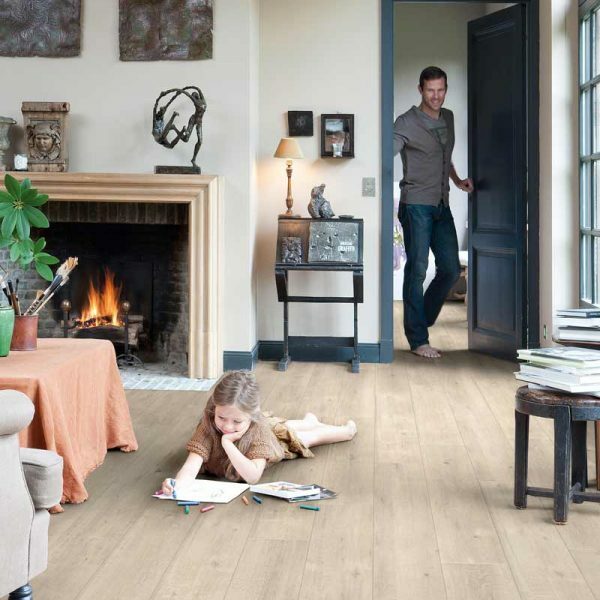 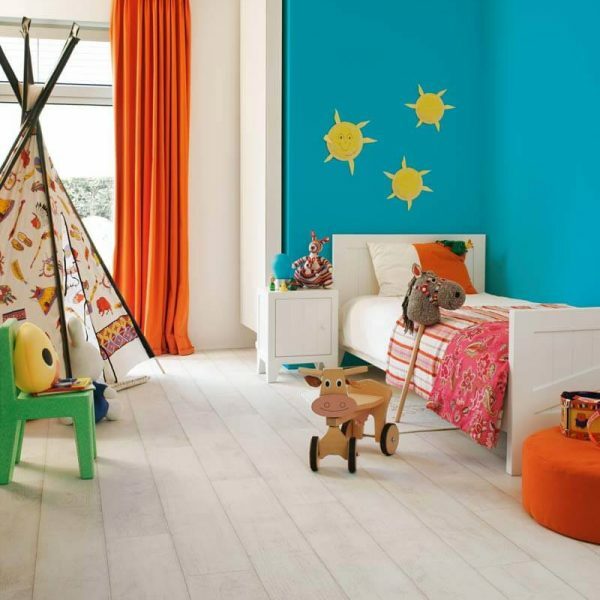 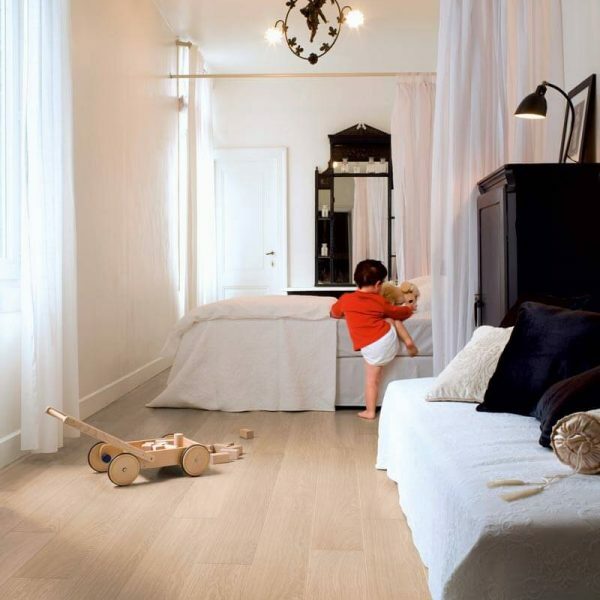 Quick-Step laminate flooring mimics the look of traditional woods and is a great alternative to real wood floors. 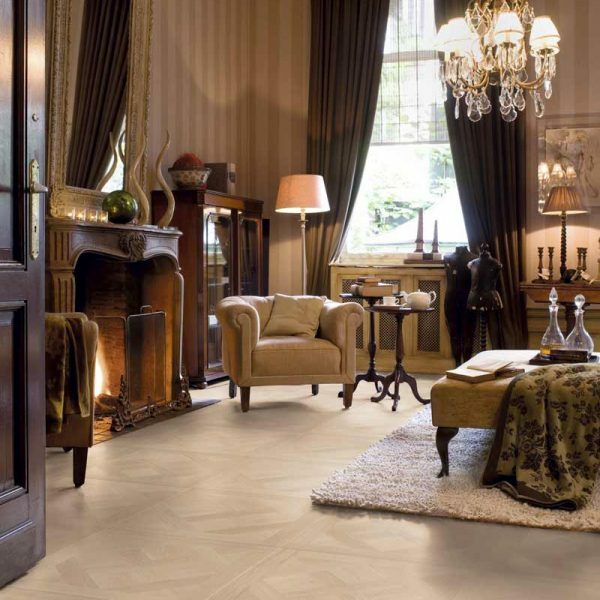 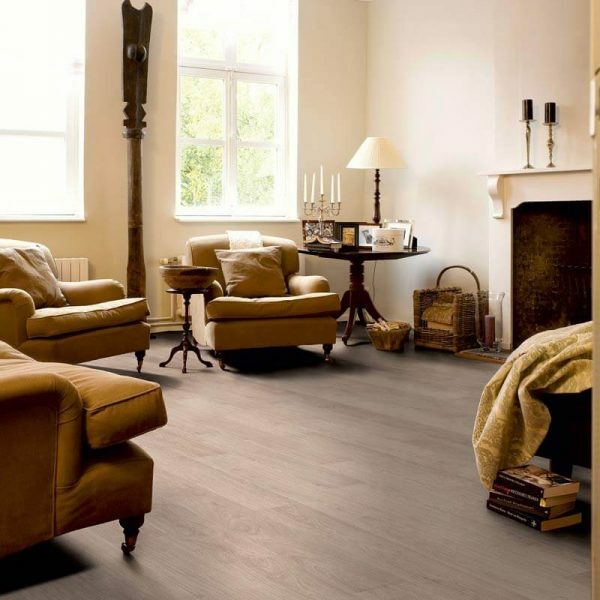 In years gone by laminate floors were lacking in character and cheap in appearance. 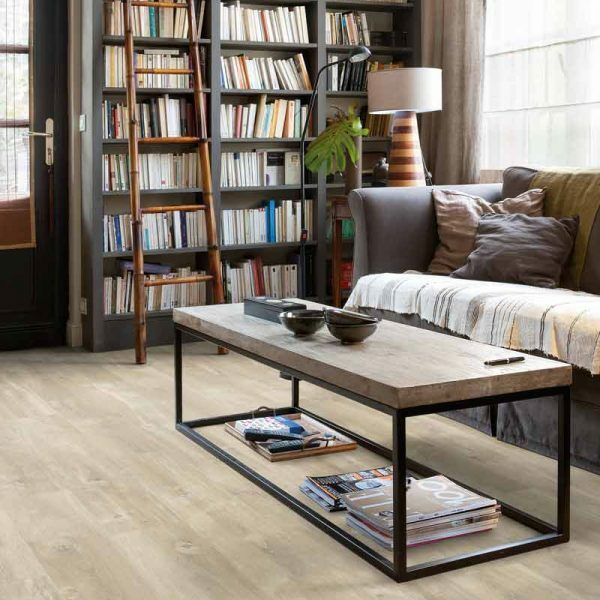 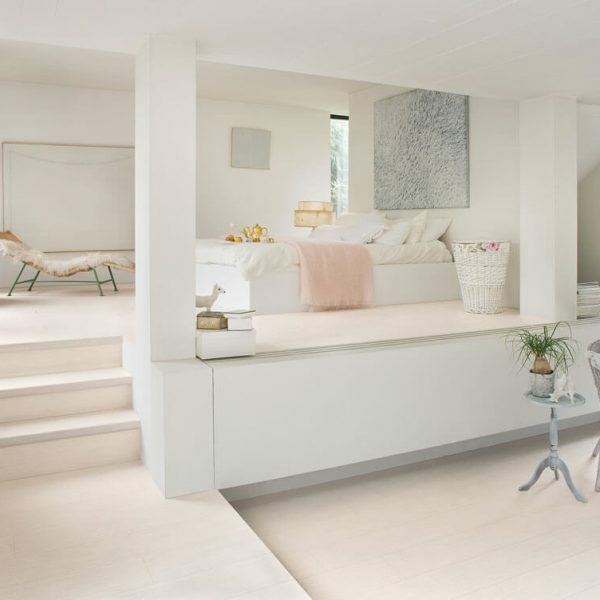 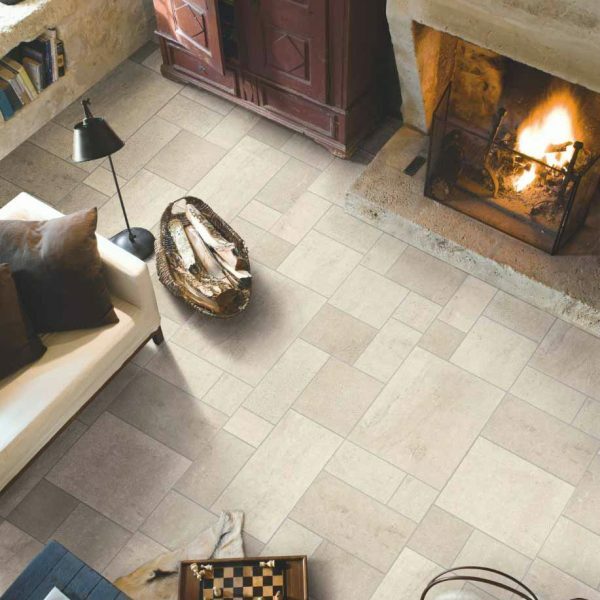 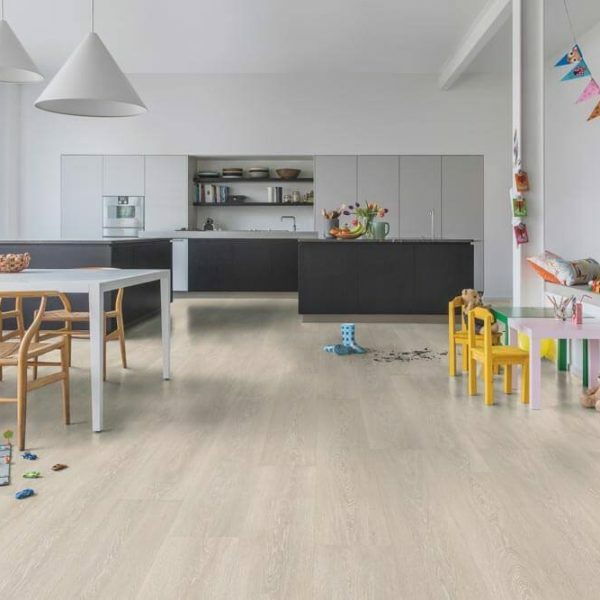 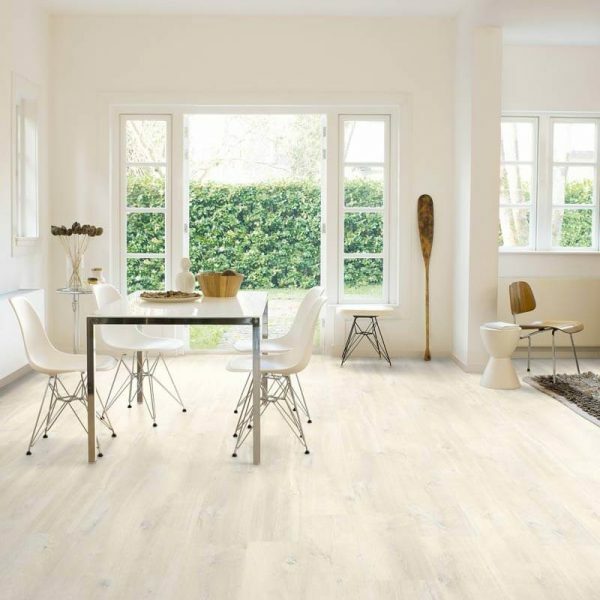 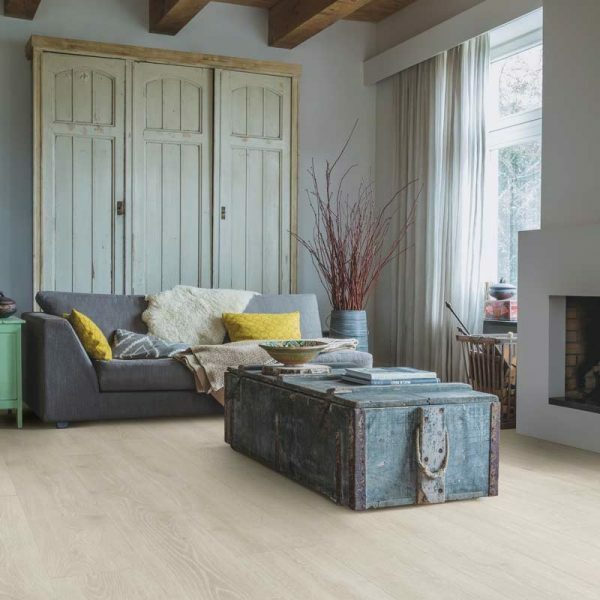 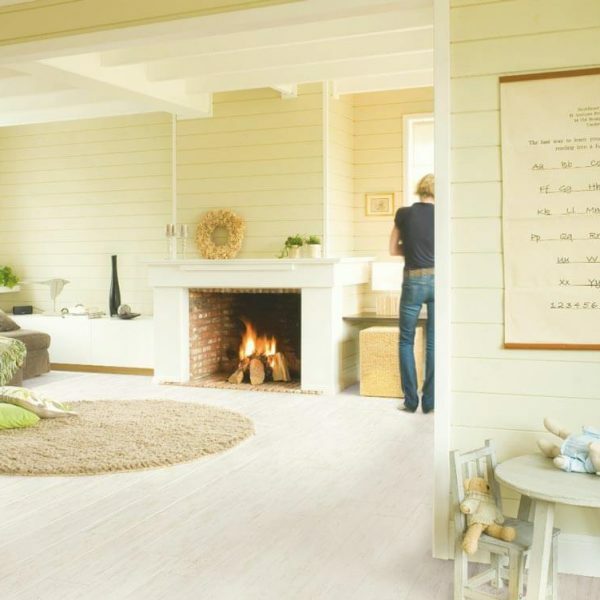 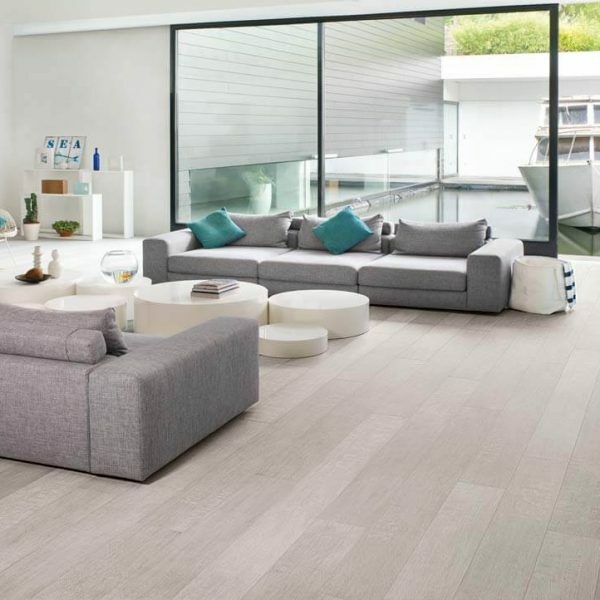 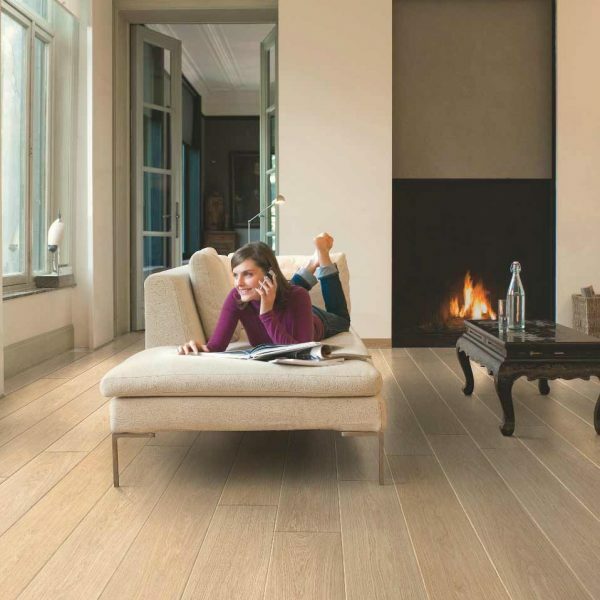 Today, Quick-Step present a vast collection of laminate floors which are durable, stylish, modern, water resistant, scratch resistant, stain resistant, suitable for underfloor heating and far from boring. 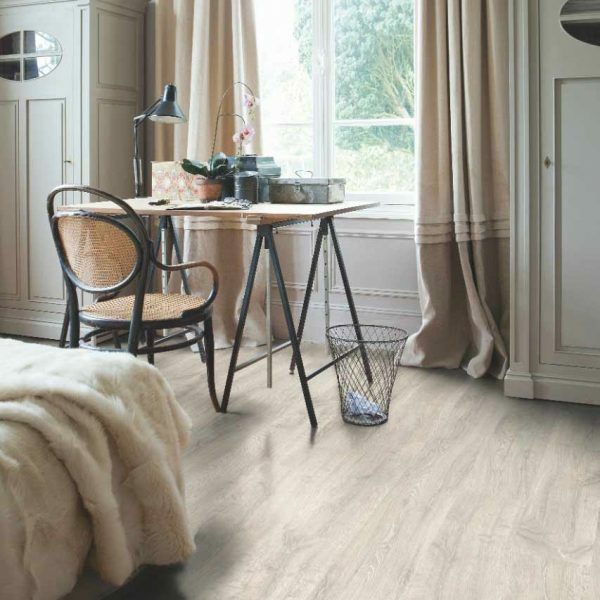 One still has to be careful when choosing the right laminate floor; obviously you want one you’ll be completely satisfied with and that will last many years. 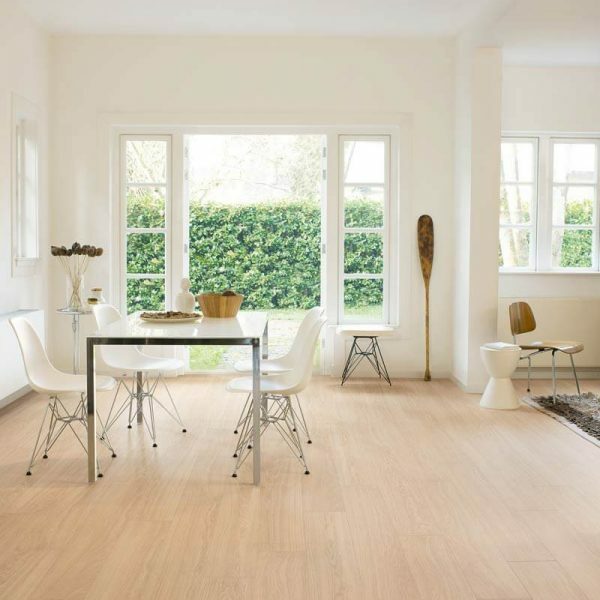 This is why we recommend Quick-Step. 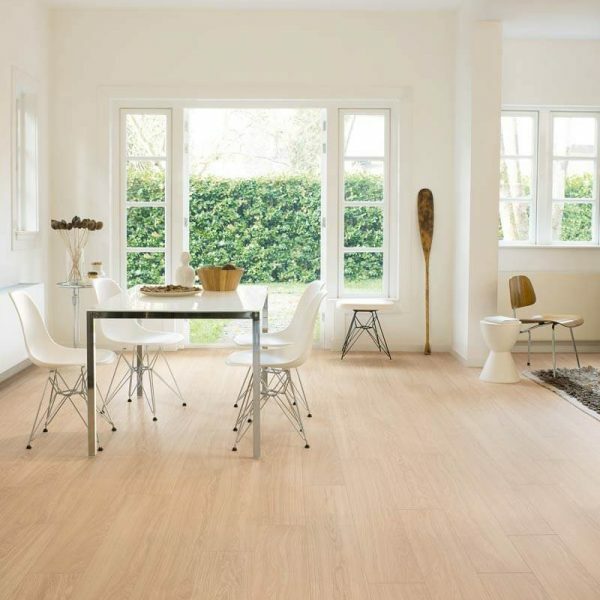 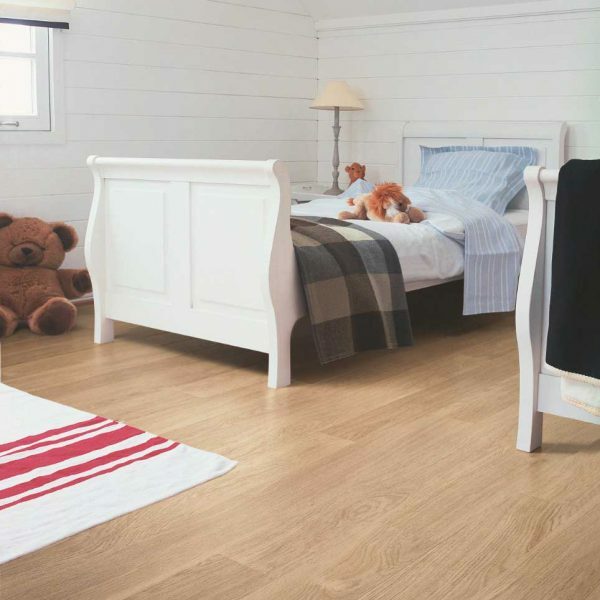 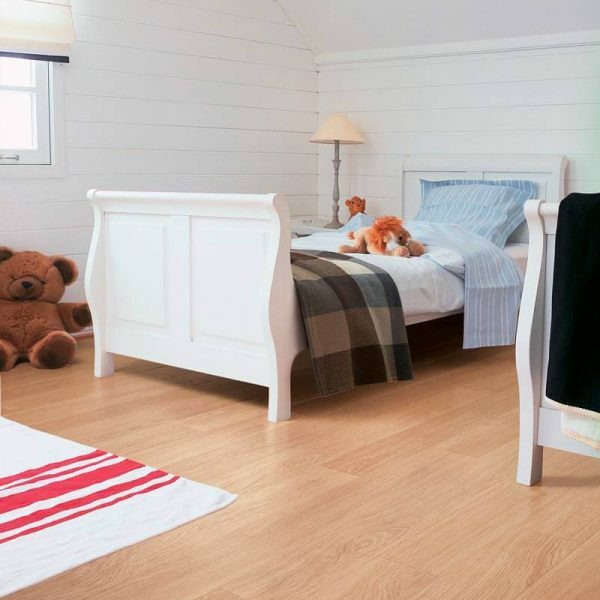 Quick-Step laminate flooring is of the highest quality and comes with its own Uniclic System (a patented design) which is the best click system out there, allowing for a quick and easy installation. 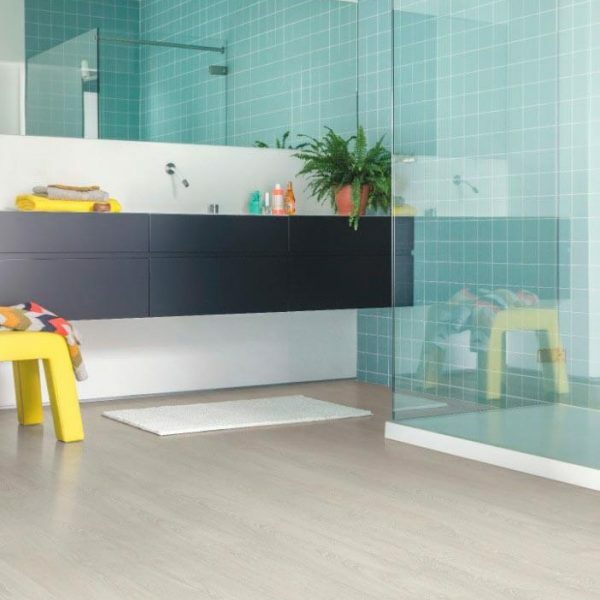 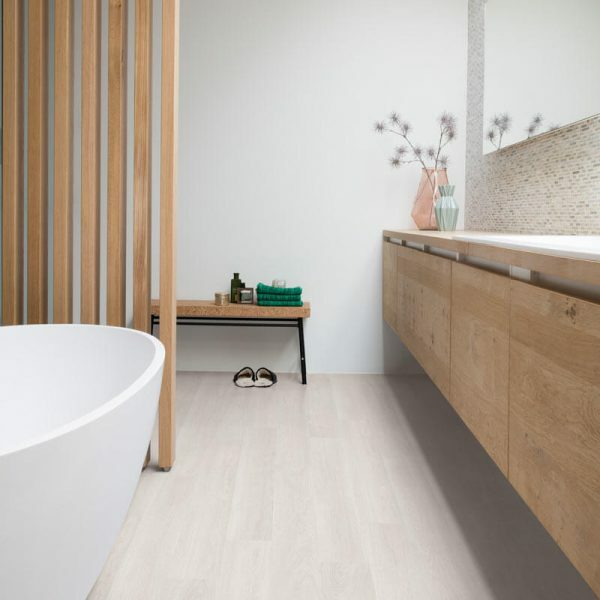 Quick-Step’s new collections, the Impressive and Impressive Ultra range offer you waterproof flooring with a Unique waterproof coating which is perfect for a bathroom floor. 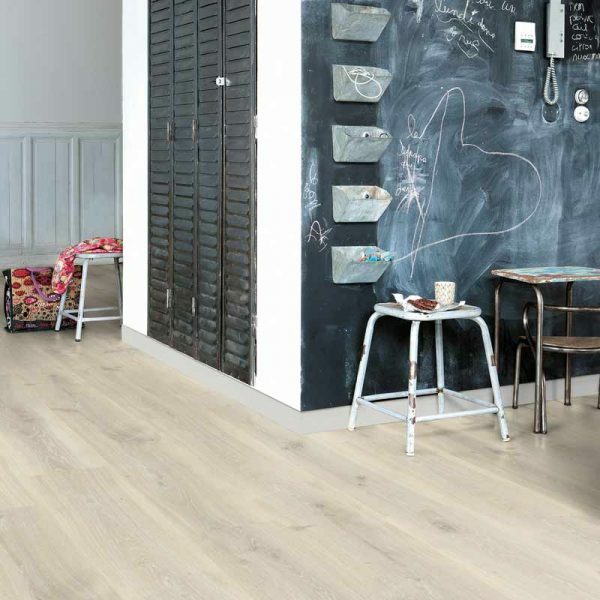 Perfectly matching accessories are available for all Quick-Step flooring, so no more running around looking for matching stair nosing, door bars and beading, Quick-Step has it all!